Note: The Food and Drug Administration has not evaluated any health related statements that may appear on this site. The products presented on this site are not intended to diagnose, treat, cure or prevent any disease. Spirulina is a blue green micro-algae, unseen by naked eyes, grown in warm and brackish water. It is about 60-70% complete highly digestible protein. Its protein elements contain 18 out of 22 amino acids, including all the 8 essential amino acids. Spirulina is a profound source of vitamins such as A, B, E, H, thousands of enzymes and several essential and non-essential fatty acids. Spirulina is rich in B vitamins, minerals, trace elements, chlorophyll, and enzymes. It is also one of the best food sources of GLA – an essential fatty acid necessary for tissue growth and regeneration. Due to its soft cell wall all of Spirulina’s nutrients are easily assimilated. 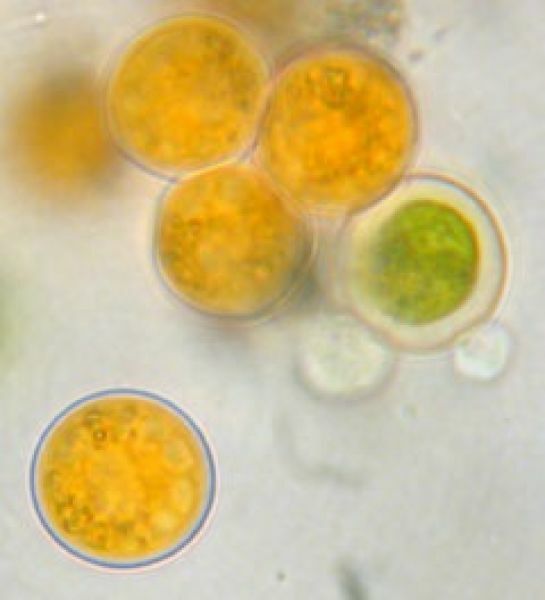 Dunaliella Salina is a single celled, salt-water micro-algae that under appropriate growth conditions accumulates massive amounts of beta-carotene. Dunaliella contains other carotenoids such as alpha carotene and xanthophylls like zeaxanthin, cryptoxanthin and lutein. It also accumulates very high concentrations of glycerol. High concentrations of beta-carotene and glycerol offer Dunaliella protection from the saline conditions and osmotic pressure of the environment where it lives. Natural mixed carotenoids found in Dunaliella salina are among nature's best antioxidants. 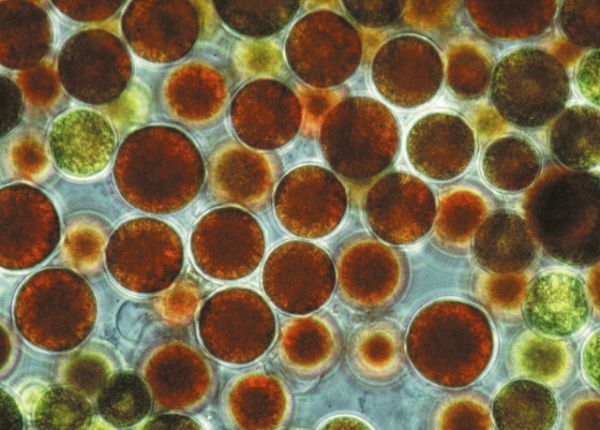 Haematococcus Pluvialis is believed to be by far the world's richest known source of astaxanthin, a unique natural carotenoid pigment and an extremely powerful biological antioxidant. A growing body of scientific literature shows that natural astaxanthin surpasses many of the antioxidant benefits of vitamin C and vitamin E. Astaxanthin holds superior antioxidant activity and has an ability to support and maintain natural inflammatory response. Additionally, scientific research has proven that astaxanthin is able to cross the blood-brain barrier and the central nervous system better than many other antioxidants. BioSuperfood formulas are manufactured in Canada. These formulations were researched in a non-profit environment, without commercial goal, for over 13 years on over 20 species of animals. The duration and thoroughness of the research has never before been seen among similar endeavors in this field. Practical applications have ranged from thousands of farm animals to victims of the Chernobyl disaster, to over a decade of nutritional support for people in their everyday pursuit of health. The BIOSUPERFOOD formulas are certified under the Health Canada Natural Product program. The algae in our formulas are nurtured and harvested in a hydroponic pure environment, protected from pollutants, free of herbicides and pesticides, and blended, encapsulated and bottled under strict quality control. The algae are protected with a proprietary freeze-drying technology that preserves the nutrients 100%. Under the Health Canada Natural Product certification, each lot must be analyzed and verified by an independent third party for pollutants, pesticides, herbicides, mercury, lead, bacteria, parasites, and other pollutants. Strict standards for safety, quality and purity are adhered to throughout the various growth, harvesting and bottling processes of BIOSUPERFOOD. The bio-algae are ecologically harvested, pesticide and herbicide free. BioSuperFood is 100% pure and clean with no fillers. BioSuperFood Formula F2 Core contains significant amounts of red algae resulting in great concentrations of red pigments, carotenoids and antioxidants which offer profound nutritional value and benefit. Formula F2 is for general nutritional health, immune system support and early degenerative conditions, for increased energy and vitality, for safer dieting and fasting, for sports and fitness performance, and in replacement of most supplements and vitamins. For children and adults of all ages. Biosuperfood F3 Forte contains yet more of the red algae than F2 with even more of carotenoids and antioxidants resulting in a more advanced nutritional support for the immune system, for increased vitality, healthy aging, and good health maintenance, for safer dieting and fasting, for peak performance in physically active individuals, and in replacement of most supplements and vitamins. Unlike other algae, Biosuperfood is highly bioavailable. For example, Chlorella, a green micro-algae, is a nutritious food but does not have the same anti-viral, anti-cancer and immune stimulating properties as BSF. 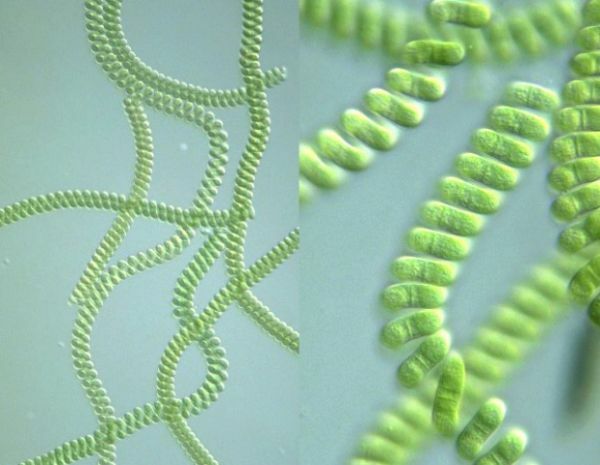 The Chlorella cell wall is made of indigestible cellulose while the cell wall of the spirulina in BSF is made of complex proteins and sugars that are easily digested by humans. This blend achieves superior synergies and a balance not attained in singly occurring algae.